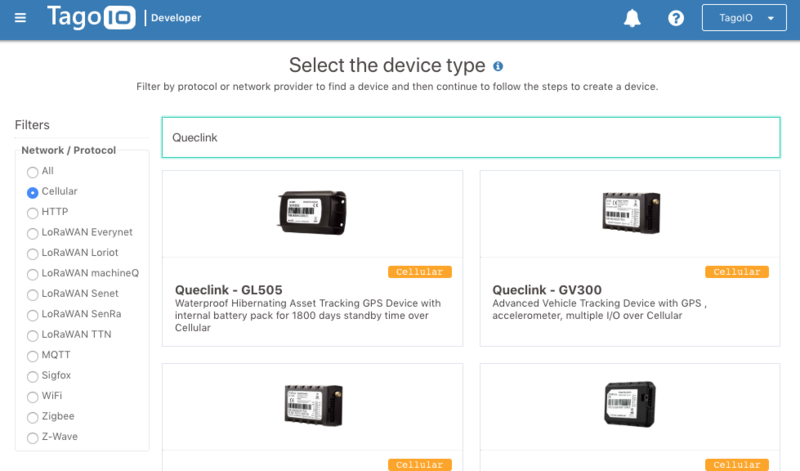 Check out our new tutorial to learn how to add Queclink GPS to your TagoIO account. Queclink GPS can be integrated with TagoIO through the middleware that translates the devices TCP/IP protocol. The middleware allows uplink communication between the device and TagoIO while parsing the messages in order to extract commands and variables in real-time. Your can easily selet the GPS model, and add it in their account to start building dashboards and analytics in minutes. Contact us if you need to add any other model of GPS. Continue reading the instructions from our documentation page here.